Considered by many the best football player of all times, Lionel Messi has joined the World Tourism Organization to promote the value of responsible tourism. 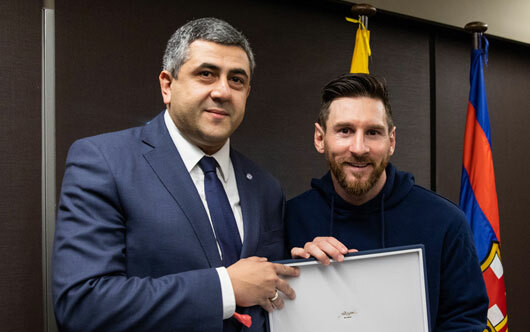 The UNWTO Secretary-General, Zurab Pololikashvili, appointed Messi as UNWTO Ambassador for Responsible Tourism. “During my travels I have had the opportunity to know other cultures and societies as well as others ways to see the world and this is very enriching. The World Tourism Organization as a specialized Agency of the United Nations works to make tourism a source of development and I am happy I can join this mission of promoting responsible tourism,” said Messi.